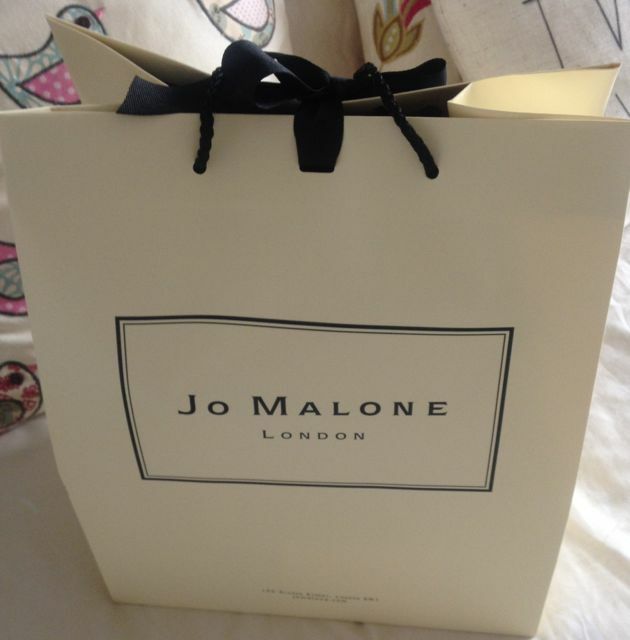 A friend of mine (Cat at The Teatime Treatery) recently introduced me to the wonderful and luxurious world of Jo Malone London, a beautifully British brand of colognes, scented candles and bath oils. 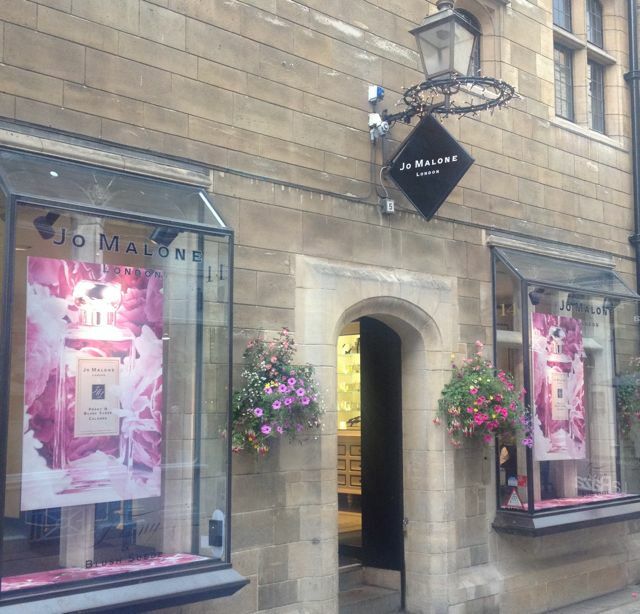 I had no idea that tucked away off Cambridge Market was a Jo Malone shop on Rose Crescent, within the very same building that used to house my favourite art gallery in Cambridge until around a year ago. As soon as I stepped through the door, the memories of champagne schmoozes and meeting my favourite artist to sign my own piece of him came flooding back, I loved this small building nestled on the cobbles of one of the more peaceful areas of my hometown and I’m even more in love with it now. Cat had booked us in for a complimentary arm and hand massage treatment with the beautiful Amie, a passionate ambassador of the brand who travels from Norwich to Cambridge every day for her job, she’s impressively dedicated to her work and I think I would be too if I worked for this elegant brand. As soon as you walk up the steps into this sophisticated parlour, you are greeted with friendly smiles and a homely scent that relaxes even the most stressed of human being immediately. Everything is displayed on glass shelves, from body and hand washes, colognes and spritzers through to candles, body oils, shampoos and cremes, everything can be sampled, in fact that is very much encouraged. Book yourself in for a complimentary, no obligation arm and hand massage treatment. It was the best hour of my day and it’s (without wanting to sound cheesy) changed my complete outlook on perfumes and scents for the better. I’m a girl who actually prefers to wear men’s deodorants and sprays, I love the deeper, spicier smells and I like to make an impact when I walk into a room. I sometimes feel that the lighter, feminine scents don’t stay with me for as long. This stems back to accidentally buying a male spray in my teenage years and sticking with these sort of smells ever since. 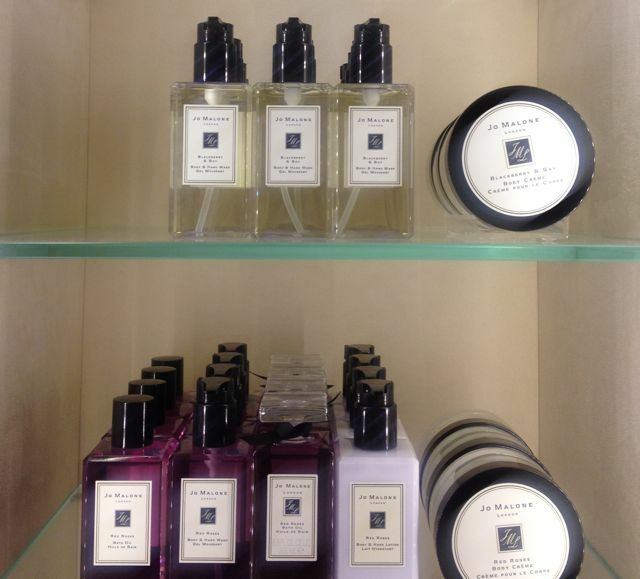 The Jo Malone range is in fact unisex, not that I’d share any of these stunning products, but they will smell different on everyone and they can be combined to produce unique and personalised scents to match your taste. We both sat at the comfortable massage table and were introduced to the Jo Malone shop, offered a chilled glass of lime water and discussed our current scents whilst Amie really got into what turns us on within a scent. She picked up on our preferances and produced their orange blossom bath oil at first, using a mini coffee whisk to whip it up into a thick foam in which she massaged our hands and arms to get them feeling silky and smooth, offering a similar experience to lathering up in the bath – it almost sent us to sleep! After rinsing off this lathered bath oil with a hot scented towel, she then massaged us using their peony & blush suede body creme, which was so thick and heavenly, you didn’t need much to benefit from this and I could have easily sat there all afternoon, it was lovely. If only every morning could be like this when it comes to getting ready! What Amie was teaching us was that creating a memorable and long-lasting perfume isn’t simply a quick spritz and away you go, you need to layer your body with varying products and complimenting scents to create something that will linger and make an impression. This isn’t something I’d ever thought of doing and am usually guilty of dousing myself (and my clothing!) in cheaper sprays in the hope they’ll last…they usually don’t and now I know why. She then finished by showing us how to choose the perfect cologne and how to apply it, by spraying ever so lightly onto our arms, then dabbing it with her palms up the length of our arms. I went for “154”, a scent that includes mandarin, grapefruit, lavender, basil, nutmeg and vetiver. This combination of scents was stunning, I’ve never loved the way I’ve smelled so much in my entire life, with honestly no exaggeration. A small bottle of cologne costs around £40 and the body creme around £50, making this a very tricky decision for somebody on a tight budget, so I decided to take my time on my purchases and come back another day, which was absolutely fine. What I didn’t expect was that I would spend the rest of the day pressing my nose up against my arms, taking in long draws of breath to enjoy the aromas soaking into my body. I woke up the next morning and I had received a text from Cat advising me that she still smelled amazing, to which I took another whiff and confirmed that I did too... This was so alien to me, I never stay smelling so great for that period of time, this was some kind of luxury voodoo! I sat on my hands all morning until I couldn’t bare it any longer, I roped in another friend for a coffee in town and we just so happened to be “passing” Jo Malone. We spent some time in other luxury scent shops, but they just didn’t were never going to cut it for me, so Kass took me by the arm and marched me to Jo Malone to just get it over with. As of today, I’m walking into rooms and causing a sensation…! I visited my local BBC radio station this morning and the first thing the presenter said to me was just how delicious I smelled, before absolutely anything else. My whole reasoning for wanting a new scent was to make an impact when networking my little behind off and after just one hour of wearing my new combination, it’s only gone and worked, I’m so stupidly impressed I just had to share this fascinating experience from a gal who very rarely pampers herself of late! 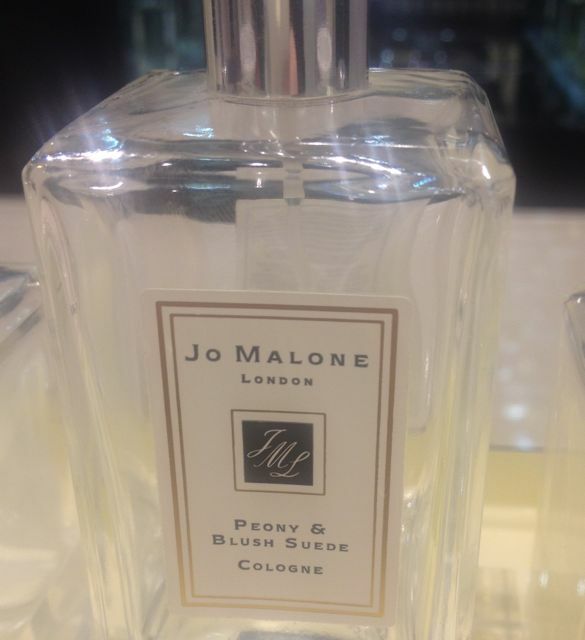 Jo Malone London, (in Cambridge specifically)… I curse AND salute you in equal measures, as well as very much look forward to the new wood sage & sea salt scent due out in September – I could be very tempted shouldn’t be allowed to pop back anytime soon! You have a new convert and ambassador in “Miss Sue Flay”!